Hello and welcome to the April 2016 edition of the Quantum Era Security Times. In our blog, “Entropy, not Apathy” we take a look at the vital role key generation plays in encryption and the importance of a good source of entropy. As the EU Parliament finally adopts the new General Data Protection Regulation (GDPR), we consider the implications for European business. 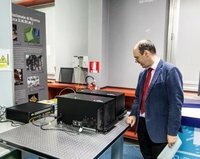 In other news, we highlight progress towards the new Quantum Communications Backbone in Italy and see what Atos CEO Thierry Breton has to say about their development of a Quantum Computer in France. Best practice in data security assumes that any hacker has an in-depth knowledge of your cryptosystem; so the security of the system relies primarily on the secrecy of the encryption key. Given this, it is surprising how weak some keys in use in modern cryptography are and how little attention is paid to the key generation process. So, what makes a good key? 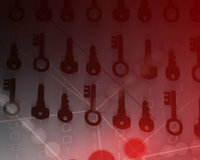 In order to provide robust encryption, a key has to adhere to three simple rules. It needs to be unique, it needs to be truly random and it needs to be kept secure. The GDPR lays down an integrated set of rules for data protection; with comprehensive guidelines for enforcement, governance, transparency and citizens’ rights. 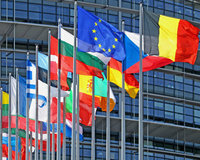 The GDPR will have wide ranging implications for every organisation within the EU that processes personal data and any organisation based outside the EU that provides services to the European Market. Basically, it will impact just about everyone. The Regulation is set to come into force in June, from which time organisations will have two years to implement the changes. HOW WILL THE NEW GDPR AFFECT YOUR ORGANISATION? What is a quantum call? Well, the medium for the call would be the same as today – a fibre optic cable – but the nature of the call, well that would be a little different. The voice data would be encrypted, but with the secure key transmitted on the back of a single photon. 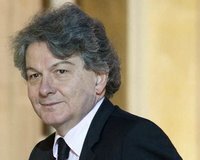 In a recent interview the CEO of Atos, Thierry Breton, talks about the reasons that led his group to develop supercomputers and their work on a quantum computer. “We are already working with the CEA (The French Alternative Energies Commission) on the computer their scientists will need in 2025” says Breton.